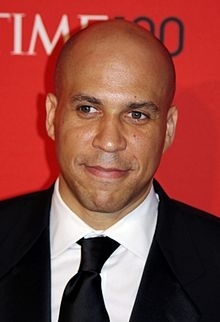 We’re happy to announce that vegetarian Cory Booker, former mayor of Newark, has just been elected to the US Senate representing the great state of New Jersey. We’ve written about Booker before, when he was mayor, and we are happy that the US Senate has now gained another vegetarian. We say another because one of the Senators from the other side of aisle has been showing up to dinner meetings at the White House requesting a vegetarian meal! We haven’t found out who it is yet, but we hope to discover just who the mystery Republican veg-Senator is soon. Meanwhile we can report that Heidi Cruz, wife of Republican Ted Cruz, is a long time devoted vegetarian. All this comes on top of the new veg-caucus in the House of Representatives, the growth of which we’ve been following with interest. While recognizing that there’s a long way to go, we’re encouraged that the federal government, where so much food policy is made, is slowly becoming more veg-friendly.